This is a pack of Poppers to buy and to discover with 3 bottles of strong poppers ! It is composed of: Brutal Everest 30ml - Everest Zero 24ml and Everest Black Label 24ml. This pack of poppers is economic and makes it possible to buy cheap poppers with various nitrites. 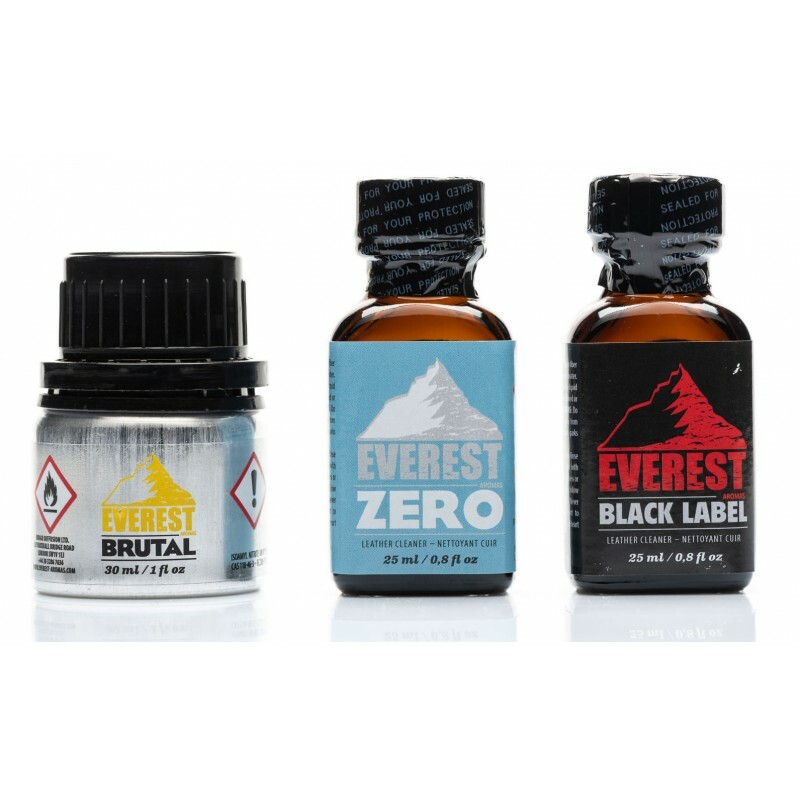 Reach the Top with Everest Aromas - Combo Pack for cheap Poppers with these 3 different bottles and nitrites. Everest Brutal : The air pressure can damage the bottle of Brutal Everest, which is why we are not ship them outside the European Union. If you buy them despite our recommendations, and these bottles are damaged we will not refund for these bottles.